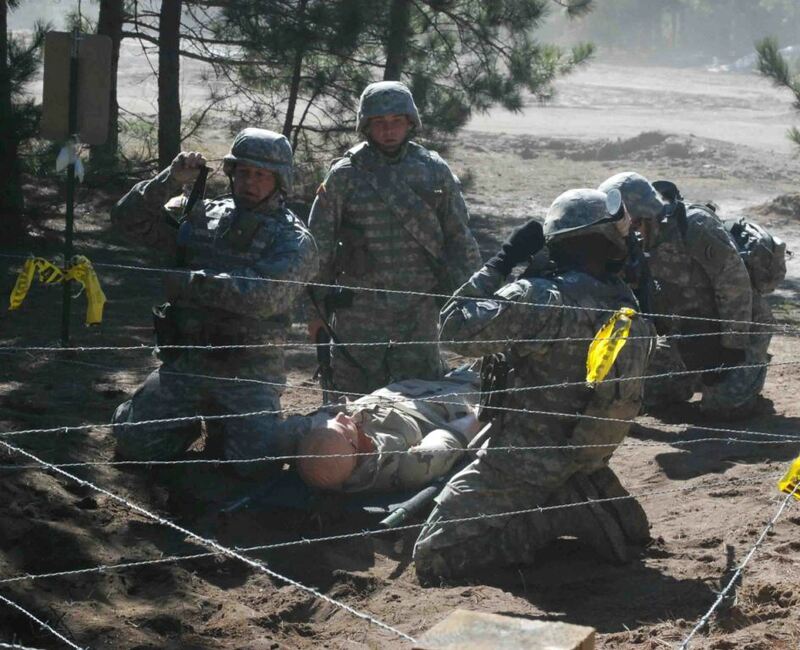 New York Army National Guard Soldiers from Company D, 3rd Battalion, 142nd Aviation encounter a barbed-wire obstacle at Fort Drum's Combat Life Saver practical course on April 17. The Soldiers were timed as a group while transporting a "dummy" injured Soldier through a wire entanglement. The obstacle course is at the completion of the Soldiers Combat Life Saver training. The 3-142nd Soldiers are traing at Fort Drum to prepare for a deployment to Iraq this summer.